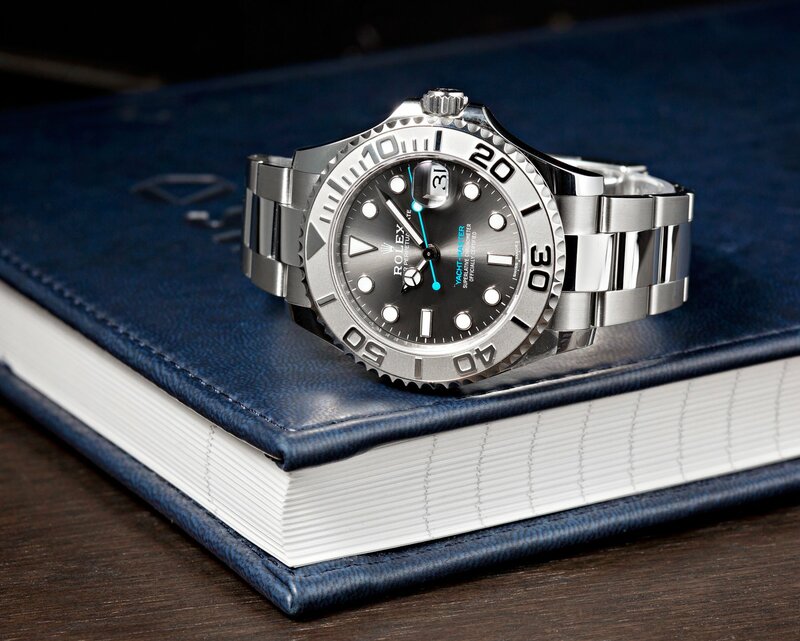 Because of all the excitement caused by the launch of the steel and ceramic Daytona ref. 116500LN at Baselworld 2016, it’s easy to forget that there were other new Rolex watches there too. Case in point is the highly attractive, yet somewhat overlooked, Yacht-Master 37 ref. 268622. The ref. 286622 is the smaller version of the Yacht-Master 40 ref. 116622 with the exact same color palette—making these a great pair of matching his and her Rolex watches. With warmer weather finally on the horizon, let’s dive into the nautical-inspired Yacht-Master 37 ref. 268622. The Yacht-Master is a stunning watch with a unique 37mm size. As its name suggests, the Yacht-Master 37 ref. 286622 sports a very wearable 37mm case—perfectly suitable for women. Alternatively, men who prefer a more restrained watch size can certainly wear this particular Yacht-Master too. 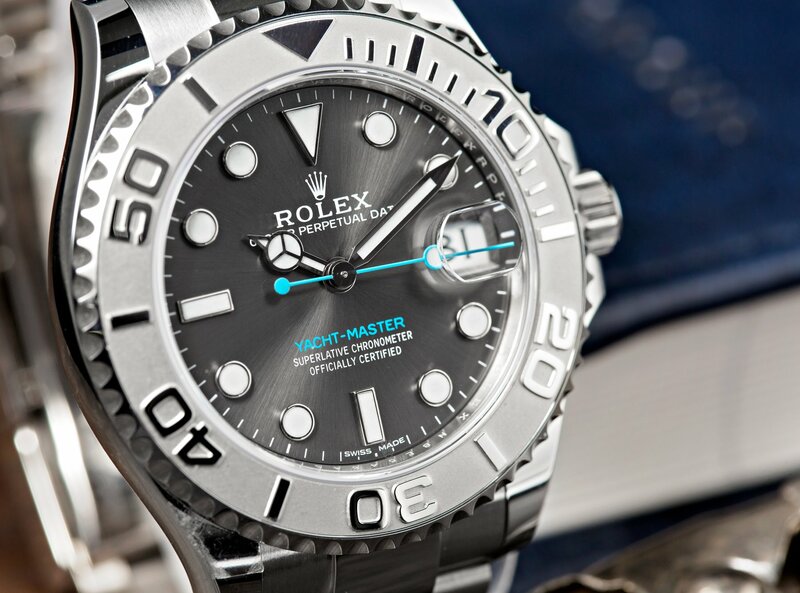 Dubbed by Rolex as “Rolesium”, this term refers to the use of both stainless steel and platinum on the Yacht-Master. Launched at Baselworld 2016, this “Rolesium” watch is a beautiful blend. 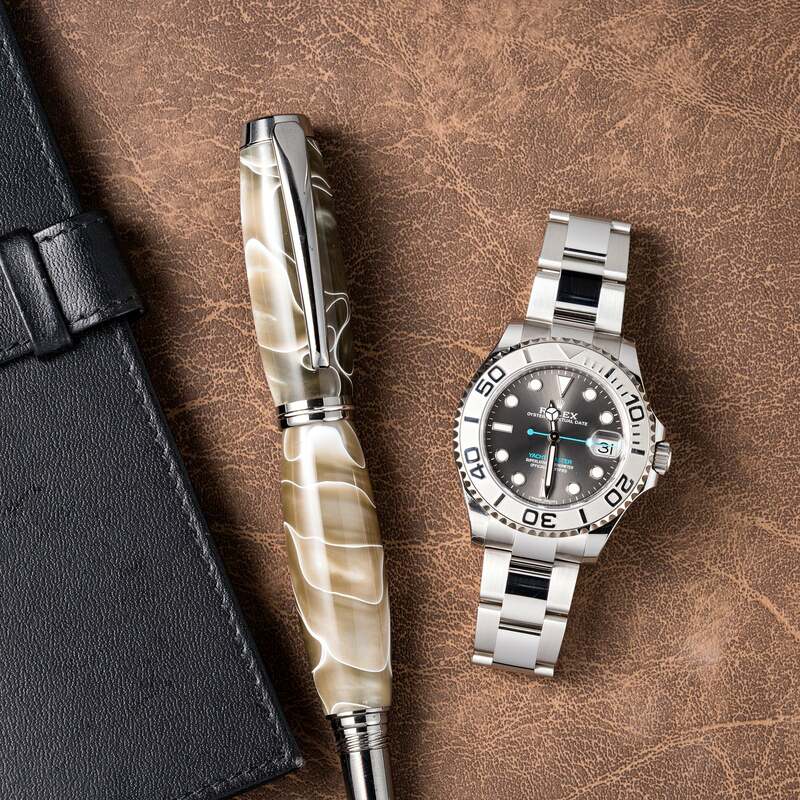 Both the Oyster case and Oyster bracelet are constructed from stainless steel for optimal robustness and sportiness, while the platinum rotating bezel amps up the luxuriousness. While this Yacht-Master 37 is monochromatic, it is far from boring thanks to different shades and textures. For instance, the matt sandblasted platinum on the bezel is a stunning contrast to the glossy raised numerals. Also, the center polished links of the steel Oyster bracelet pops next to the brushed steel links flanking it. Furthermore, the dark rhodium dial has a sunburst finish, which plays beautifully in the light. Rolesium is an interesting blend between two medals. That moody gray dial benefits from a subtle flash of color. And the turquoise seconds hand and turquoise “Yacht-Master” label is the perfect color choice. Encircling the periphery of the dial are the large lume plots with white gold surrounds, in addition to the date window at 3 o’clock. Naturally, this being a Rolex, the date display is magnified by the brand’s iconic Cylops lens affixed to the crystal sapphire protecting the dial. Finally, sitting at the center of the dial is the pair of luminescent Mercedes-style hands. 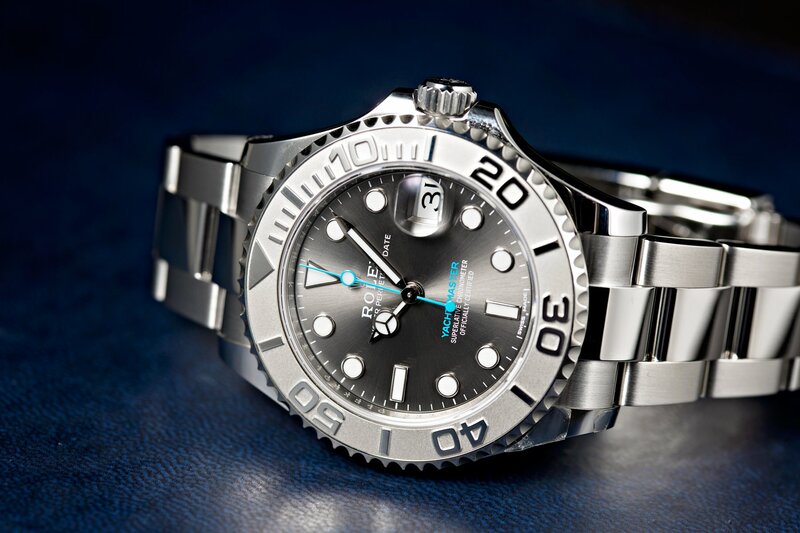 Powering the Rolesium Yacht-Master 37 is the Rolex Caliber 2236 automatic movement. As with all modern Rolex calibers, this is an in-house mechanical movement. It is, of course, a COSC-certified movement, but beyond that, it’s also a “Superlative Chronometer” due to Rolex’s more stringent parameters. In fact, the Caliber 2236 boasts a precision rate of -2/+2 sec/day, while the COSC threshold is only -4/+6 seconds per day. The functions of the Caliber 2236 include the time and date. But, it also has the instantaneous date feature—meaning that the date “jumps” to the next one at midnight rather than a slow gradual turning of the disc. Additionally, the hacking feature—where the seconds hand comes to a complete stop when the winding crown is out—allows for more precise time adjustments. The dark rhodium dial has a sunburst finish, which plays beautifully in the light. Positioned as a luxury watch to wear while sailing aboard a boat (or lunching at the yacht club), the Yacht-Master 37 is water resistant to 330 feet (100 meters). To achieve this, the watertight Oyster case features a monobloc middle case, Triplock winding crown, and fluted caseback. Among the choice of ladies’ Yacht-Masters, this has got to be one of the best models to date. With its fresh modern design, ideal size, and technical capabilities, it’s a superb example of a chic luxury sports watch.